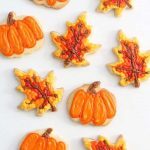 How to paint on cookies in Fall colors (or painted fall cookies) and a roundup of 18 edible leaves. For today’s post, I’m sending you away first. 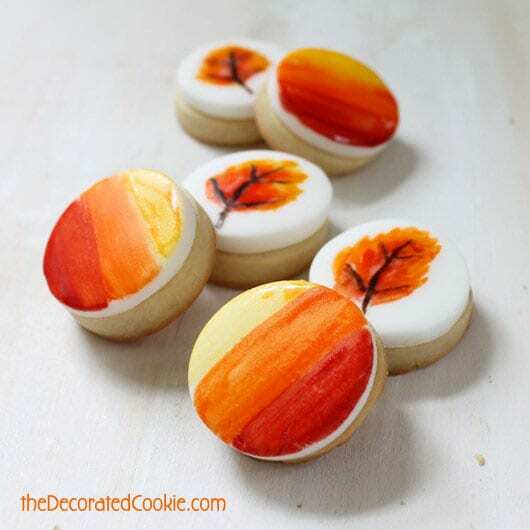 Follow me over to Hungry Happenings, where I guest post with a tutorial on how to make painted fall cookies. 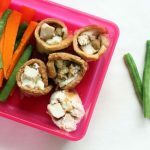 Beth of Hungry Happenings has one of those creative-food-blogger minds that awes me. I’ve been a longtime fan of her work and a longtime blogging friend, too, so I’m honored to visit her in her internet home. 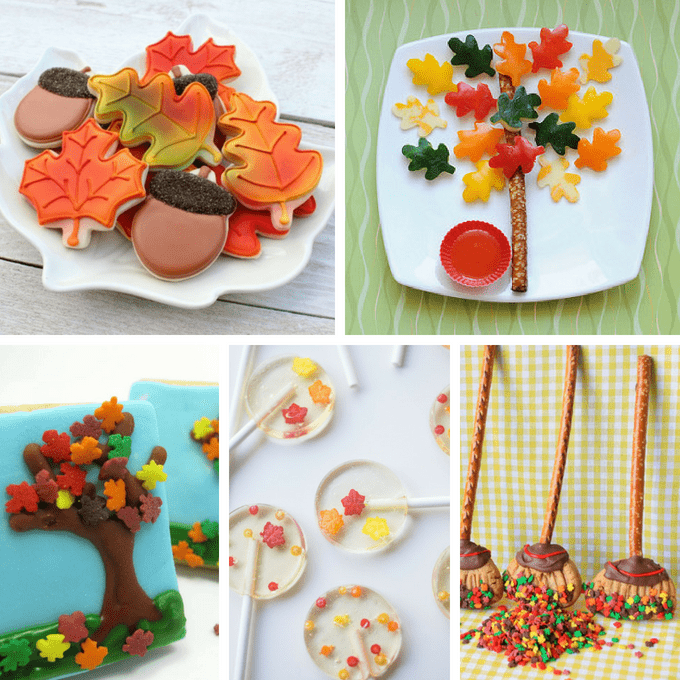 Mist beautiful color on leaf cookies at The Adventures of Sweet Sugarbelle. Make a healthy leaf snack with peppers at Canadian Family. 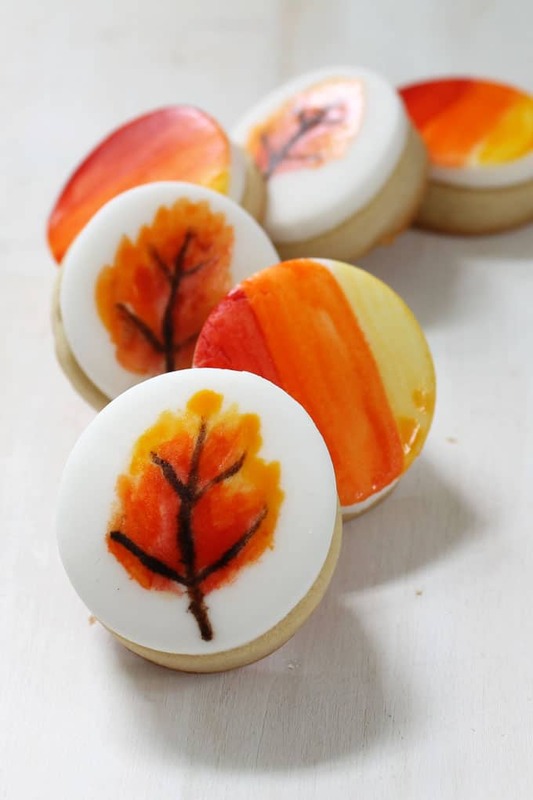 Make fall leaves tree cookies. 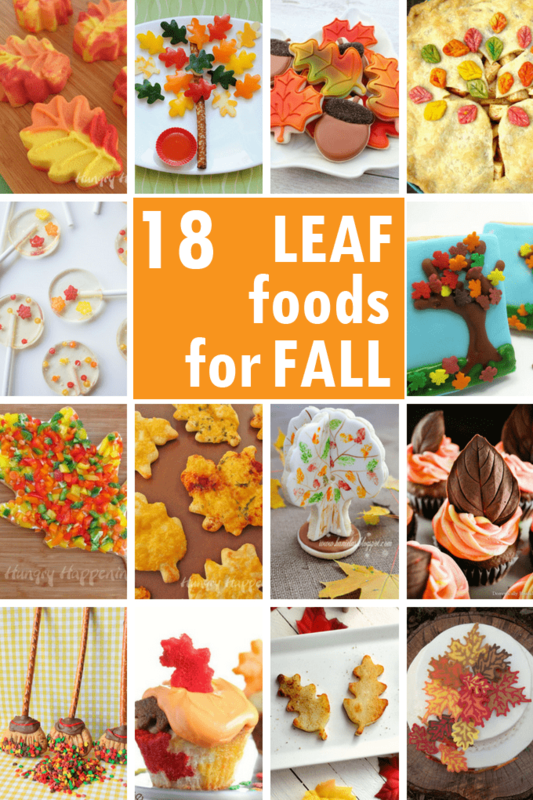 Try fall leaf lollipops, from Eighteen 25. Use a cookie rake on those leaf sprinkles at Munchkin Munchies. Make potato leaves at She Knows. Start your morning with some Fall leaves pancakes at i am baker. Stamp leaves on a 3D cookie tree at Haniela’s. 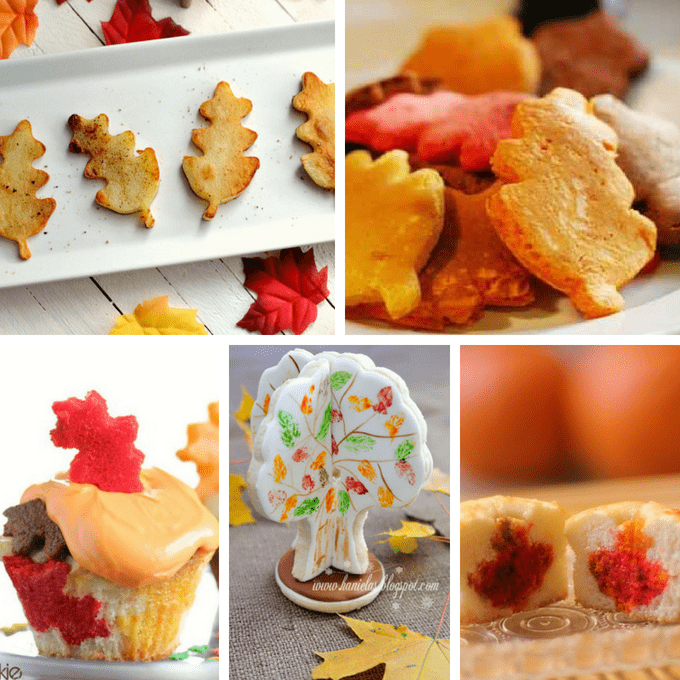 Fall leaves baked inside a cupcake at Blessings from My Kitchen. The most beautiful pie of the year, a fall tree apple pie at Family Feedbag. Hungry Happenings has every meal covered. 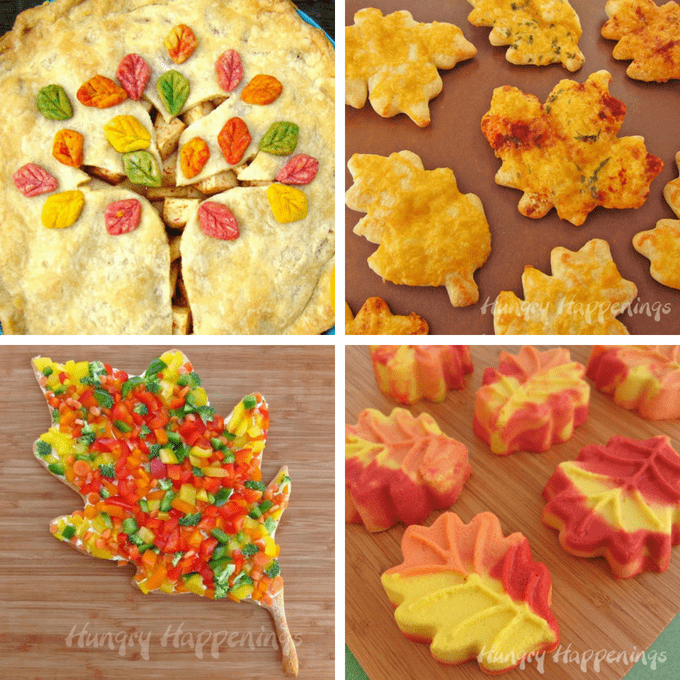 Make cheesy crescent roll leaves or veggie pizza leaves or cheesecake leaves. Yum. Make butterscotch leaf piles at In Katrina’s Kitchen. 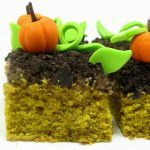 Make a gorgeous fall leaves cake at Bird on a Cake. A leaf lunch. 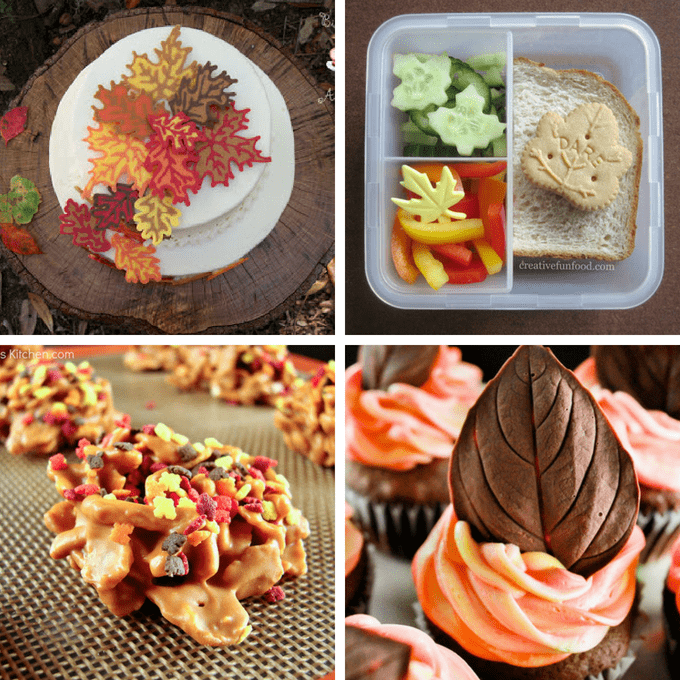 Make a fall leaf bento at Creative Food. These chocolate leaves from Domestically Blissful are gorgeous. I love these cookie Meaghan, I saw them over at Hungry Happenings yesterday. They are so cute! What a great round up, I visited some of the link and it has given me new ideas. Thanks for mentioning my tree, too. SO pretty! 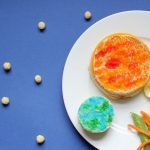 Thanks for including my cookies:) Time to check out all the others! Love the fall colors and you make drawing leaves look so easy! Now those are the only kind of leaves I want to rake up. 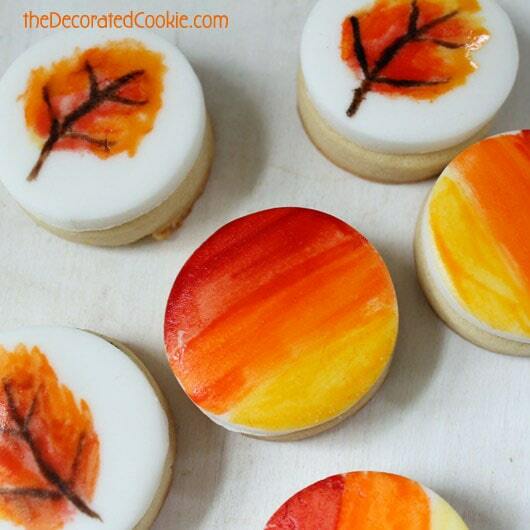 Really incredible artistry on the cookies! so yay! Excite to try. .